Former Sunderland midfielder DIdier Ndong could be set for a January move, according to reports. 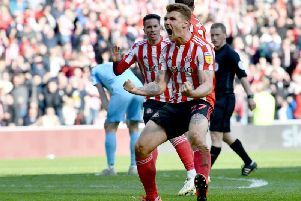 The midfielder, who failed to return for pre-season training over the summer as he looked to force through an exit from the Stadium of Light, was served notice on his contract in September after eventually returning to the club. Sunderland later confirmed that an amicable agreement had been reached with Ndong, leaving him free to join another club providing the Black Cats are provided with compensation. And while the Gabon international is unable to join a new club until January, reports suggest that he already has a new club lined-up. News outlet iSport, in the midfielder's homeland, suggest that he is close to finalising a deal to join FC Rostov in the Russian top flight. The report goes on to state that Rostov, who are currently fourth in Russia's first division, are willing to pay the required €4million fee to Sunderland as stipulated in Ndong's exit agreement. Such a fee would undoubtedly prove a big boost to the Black Cats who, while able to move on the likes of Ndong and Papy Djilobodji, still have several high earners on their books. iSport claimed last month that Ndong had trained with a Gabon third tier side as he looked to build-up his fitness after struggling to find any suitors. But if Rostov's interest is concrete, the midfielder could soon be back on the pitch - while his former club could benefit from a windfall.